We are often asked what the most important things are when clients want to undertake a b2b telemarketing campaign. We have therefore detailed below some high-level thoughts and top planning tips for you to consider when planning a new business campaign by phone. We find that there is often a lot of focus given to the skills of the telemarketer and often hear about various techniques bandied about and that it is down to having a good telemarketer who loves to talk, to get on the phone and to close sales. It is a ‘given’ that you need a quality well trained unscripted person on the telephone especially when making calls at senior decision-maker level. 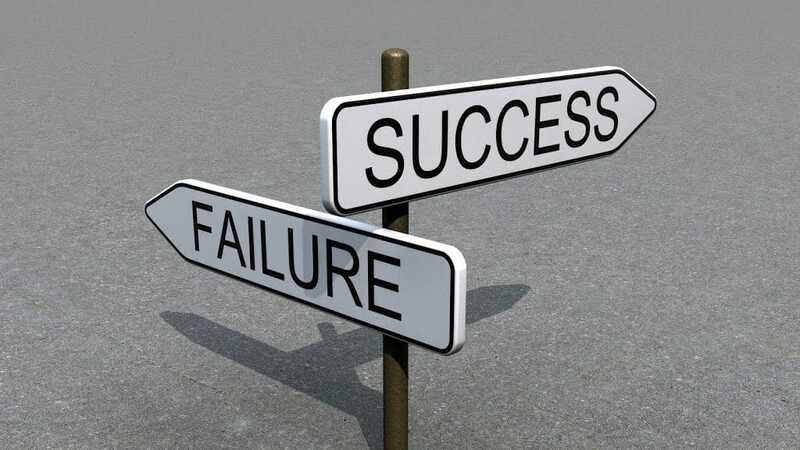 However, whilst the quality of the person making the calls is paramount, we feel that often too much is made of this as the primary success factor and not enough importance is given to other elements of the new business process. We live in a commoditised world where there is little true differentiation. Most propositions are relatively well trodden paths. At GSA, we spend most of our time with our clients on two areas (1) Audience and target decision maker definition and (2) Proposition differentiation. The challenge is in many ways for the client to find something that stands out. This is tough and not always possible. But it’s about finding a reason for prospective purchasers to see them that won’t disappoint when the client comes face to face with the prospect. Then it’s about encapsulating that proposition and marrying it up with the prospect’s issues (or pain) or opportunities and what they have the appetite and budget to purchase. There isn’t generally a silver bullet. We do feel that the value of sale to deliver ROI is crucial. Senior level telemarketing is often not a quick fix but can be extremely lucrative. For one of our clients, we generated over £20m worth of sales and clients can more regularly pick up £100k plus contracts. 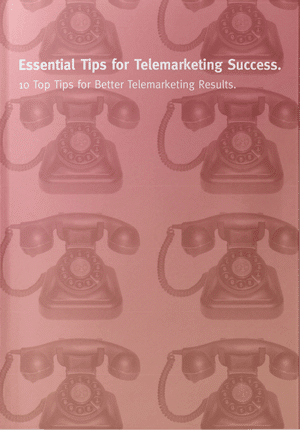 Nothing slows telemarketing down, increases costs and lowers ROI like a poorly defined market. Using relevant credentials to build rapport and emphasise your strengths enhances the likelihood of potential buyers engaging with you. We often say that if you specialise in Food and Drink but want to target pharmaceuticals you’d better brush up on your compliance knowledge or find someone that knows their stuff. In the main, people still buy people and rapport is often built through using common frames of reference. In a short time on the phone, you don’t want to create hurdles to overcome before you’ve started. Have you got something that prospects need? Do they already have a supplier? Are they contracted for the next 12 months or more? We often find that most clients run headlong into these barriers that they can’t overcome because they have ill-defined the reason why a prospect might want to see and engage with them. Since people still buy people (see above) and most sales cycles have long gestation periods (from idea to research to pitch to decision) it often pays to build rapport early in the cycle. That may mean speculative meetings with receptive decision-makers (assuming that you’ve defined them correctly as above). They probably won’t want to see you simply for you to present your credentials. Therefore, think about why they should see you and also why they should see you now as opposed to in the future. This may be stating the obvious but if you limit your target market and the market is suffering, you may find yourself in a cul de sac that leads nowhere. What sectors lend themselves naturally to what you offer? Who has challenges that you can solve? Who has money and is spending? Senior-level telemarketing isn’t a cheap option. It can generate significant rewards. However, the ROI must work for rather than against. Whilst conventional marketing will tell you that you need to look at lifetime value of a customer to measure true ROI, most clients look at initial sales and possibly on a 12 month basis. Thus, what is the value of sale? If it is low, you may be better using an online new business approach. If it is higher, the time and cost of telemarketing would be a great option. Momentum is key. We find that most success comes from call-backs especially at review time. So, record when the next review period is for suppliers and call back at that time. Make enough calls to stack the odds in your favour. If perhaps 10-25% of calls reach a decision-maker and only a percentage of those will see you now and then another 20% will buy, how many calls do you need to deliver the sales you need? Make sure the list is big enough so you don’t overcall and risk stalking and damaging your image with prospective customers in your chosen sector. There may be no way back if you do that. A well-briefed and trained caller is an asset. Confidence should be both with the proposition and with calling as a discipline. The caller doesn’t necessarily need deep expertise but they do need to understand why clients would need and buy what you’re offering and how good you are at what you do. Passion, confidence and knowledge are excellent ingredients for success. Senior level telemarketing is unlikely to produce floods of appointments unless a lot of hours are allocated to calling. Most of our clients want a select number of quality appointments each month. That might mean 2, 4, 6 or 10 per month. Given that each prospect could generate significant revenue, trusting in the process is key. Allowing it to build momentum is crucial as is supporting the caller to tweak and refine where necessary. If the approach isn’t working, change it. Recognise that it takes time to reach decision-makers. If your caller achieves 2 quality appointments per month and it takes 24 appointments to achieve one sale, that may not sound good. However, if that sale comes in December for £1m that is a great ROI. So, understand what it takes to convert a sale. Understand how long it takes. Read call notes. Engage with your callers. Listen to calls, provide support in other ways. PR, advertising, direct mail and so on all raise awareness and support calls. Don’t necessarily expect immediate success. Support your caller and don’t ignore them. Whilst many prospect requests for more information are fob offs, some aren’t and the stuff you send also has to do its job to support sales. If it is timely and relevant and targeted, it can generate response especially after a call. Send out information quickly and make sure any emails or direct mail letters sell the benefits of seeing you as well as your offering. Don’t forget that you may have opportunities to undertake telemarketing that are perhaps less ‘cold’ than to a cold list. If you are providing useful information for prospective clients they may want to engage with you by visiting you at an exhibition, seminar or attending a breakfast with an industry speaker. All of these are potential levers and provide a time-sensitive reason to meet that your telemarketer can use to their advantage to make appointments. This is naturally only a snapshot of what is required to make a campaign work. For more information about how you can grow your business or to discuss telemarketing, please do get in touch.